I am such a huge Body Shop fan. You name it, I probably own it. Which probably isn't really healthy, I mean who needs to own one of each of their body butters?! Well, I do! Upon recommendation I bought the Vitamin C Skin Reviver which is a serum and also a Body Shop best seller. I haven't looked back since. Before using the Skin Reviver my skin was really dull and I suffered from large, red, blotchy patches on my cheeks. Since using the Skin Reviver I'm now finding that my skin is glowing and there are even days where I feel that just tinted moisturiser is plenty to wear, or even no foundation type products at all, and that has never happened before! The Vitamin C Skin Reviver aims to enhance natural radiance, gives skin a silky smooth finish and contain light reflective particles. Another brilliant factor of this product is the silky smooth finish. I have never experienced a serum that leaves your skin feeling as soft as the Reviver does. And of course, following the Vitamin C route, it has to smell of Oranges too! Wearing the Reviver underneath my foundation and teamed with a moisturiser, this product has become a huge part to my everyday routine and a product that I shall forever be repurchasing. I think I shall even go as far to say that it is now hands down my most favourite body shop product. Sorry body butters, you've been pushed aside! I'm now looking forward to trying the Microdermabrasion and Radiance Capsules from the Vitamin C skin care collection at some point in the near future. 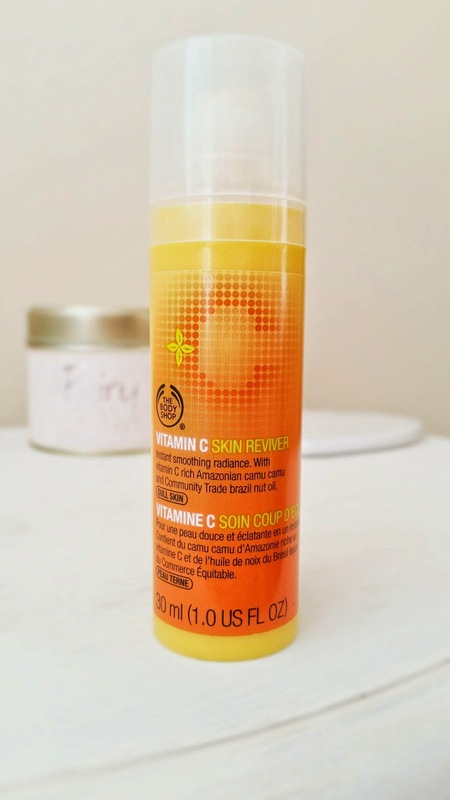 Have you tried anything from Body Shop's Vitamin C collection?! It's no secret that I love books and reading. I have a whole wardrobe full of unread books and a kindle of books which I am also still yet to read. I guess you could say my reading obsession is just as bad as my beauty obsession! Whilst at a local village summer fayre this weekend they had a huge book sale where you could buy any of the books for 50p each or three books for £1! So after a good old rummage, and Tyler becoming increasingly impatient I finally stumbled on these six books and took them home with me to be loved further. Firstly, I found the Lauren Conrad L.A series. I've been wanting to read these for ages but still couldn't justify around £6 a book for some trashy chick-lit, so £1 for all 3 was a bargain! Secondly, I found two Maeve Binchy books together, that I am yet to read. Maeve Binchy is my all-time favourite author and my aim is to one day have read all of her books, and so far I've read a fair few! Finally, a new Jodi Picoult book for me to endeavour. I enjoy Jodi Picoult, although after watching the film My Sisters Keeper, I don't think I could stomach that book, it's way too sad. However, I do like her books with a slight chilling twist to them and Songs of the Humpback Whale sounds just like my cup of tea! So again, another three books for £1! 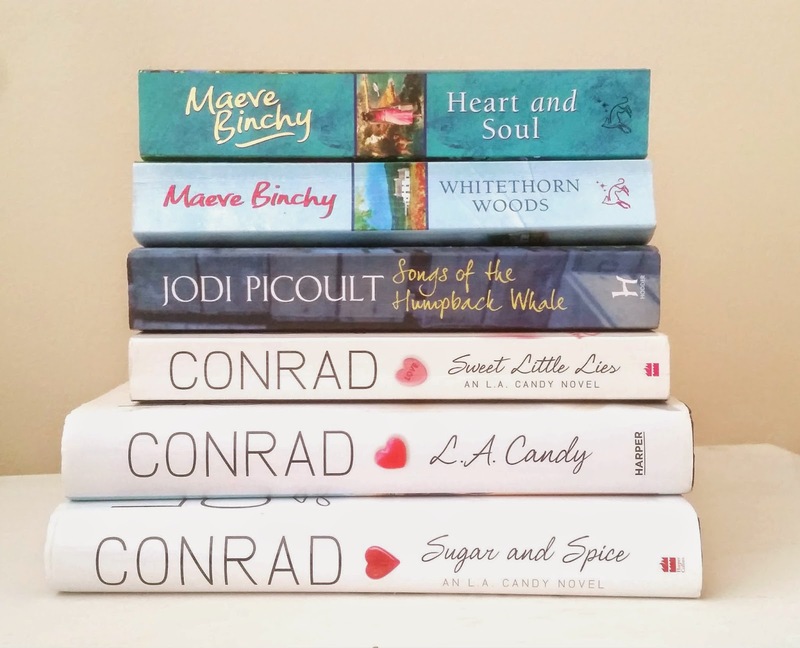 I think I'm definitely going to start incorporating a lot more book type posts into my blog, so keep your eyes peeled for book reviews, favourite authors and a look into all the books on my shelf! 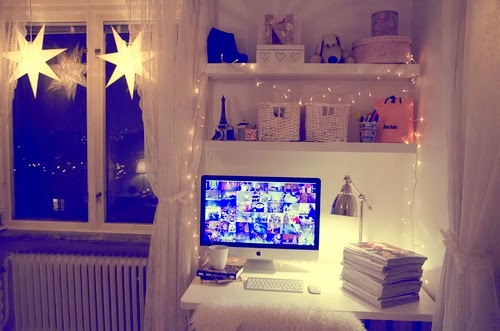 Now I wish my desk space looked just like this! I realise I've been a bit AWOL recently when it's come to blogging, but truth be told I started to lose my blogging mojo, big time! Don't get me wrong, I still loved reading all the blog posts which I follow, I just lost my inspiration for writing my own posts. However, after a lot of time out and space to think I feel as though I've finally found my blogging enthusiasm again, and I just want to say a big thank you to everyone who has stood by me and my blog and continues to read my posts and follow me with my journey that I'm making through out life. I know that there are a lot of posts out there like this, but for those who do suffer from a lack of inspiration from time to time I just want to share my tips on how I found my inspiration again. 1. Take some time out to do what you enjoy. Don't ever get too worked up and stressed about your blog posts, because at the end of the day, it's not worth it. To me, blogging is a hobby, and hobbys should be enjoyed, not feel stressful or feel as though it is something you must do. Once you start doing the things you love, you may find your post inspiration from that. 2. Don't feel as though you must stick to one genre for your blog. I wanted to predominantly be a beauty blog, but then I realised that it's actually really expensive to always be spending my money on beauty products just so I could write a beauty post. Again, post what interests you, even if it's art, politics or skin care, as long as you enjoy the content! 3. Have a diary just for your blog so that you can write lists and notes when post ideas come to you. I find this really handy and have recently reorganised my diary so that I can now look at it to refer to for post ideas. 4. Read other blogs, this really helps to give my some inspiration and reminded me during my time-out why I love blogging so much! 5. Tags are your bestfriend! If you are feeling so incredibly stuck for inspiration do a tag! There are so many different ones out there on the web, and I love to read a good tag, it allows me to get to know the blogger so much more. 6. Post when you want to post. Don't feel as though you much schedule lots of posts. If you want to and you have the time and motivation to do it, then do it. But don't under any circumstances must you feel as though you always have to schedule lots of posts for your blog. Blog when it is convenient to you! So this is what I've been doing recently to get me back to enjoying posting, and I hope to be able to find lots of time to sit down and write all the posts that I have planned, my notebook is bursting! I hope this helps anyone who is also stuck in a blogging rut, like I have been! A smiley, ditsy, blonde from Reading, with an addiction to make up, beauty, cups of tea and a good book. #85 Ted Baker - From Ted To Toe.